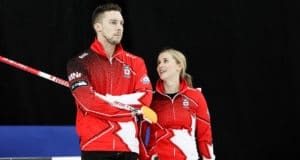 With the Home Hardware Canada Cup of Curling, presented by Meridian Manufacturing, on next week’s schedule, and another Grand Slam event the following week, most of the top teams, both men and women, are taking a break from the competitive scene this weekend. Calgary’s Crystal Webster is looking for a strong result this weekend in Lloydminster, Alta. That doesn’t mean, however, that the curling calendar is empty! The Boundary Ford Curling Classic in Lloydminster, Alta., is playing host to a 24-team event featuring a $24,000 purse. Edmonton’s Chelsea Carey, currently sitting in 10th spot on the Canadian Team Ranking System, could move up the list with a strong showing there. Other notables include Calgary’s Crystal Webster, whose new-look lineup has her throwing third, while Jessie Kaufman throws fourth rocks. 2011 Scotties Tournament of Hearts champion Kim Schneider (then with Amber Holland), is now skipping a squad and playing in only their second World Curling Tour event of the year. Japan’s Ayumi Ogasawara continues her Canadian tour in Lloydminster. She currently sits 13th on the World Curling Tour’s Order of Merit, and has won two events already this year. On the men’s side the biggest event is the $37,000 Challenge Casino de Charlevoix in Clermont, Que. Like Carey, there are two teams looking for some points to improve their CTRS standing. Summerside, P.E.I.’s Adam Casey and Kingston, Ont.’s Don Bowser currently sit 10th and 11th respectively, and could move up a place or two with a strong finish. Unfortunately for Casey, he got off to a rough start and dropped his first two games. He’ll have to take the long road through the C-side to qualify. Bowser also lost a game, but still sits in the B-Event. 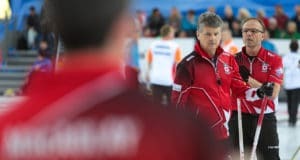 Standing in their way is former Tim Hortons Brier champion Jean-Michel Menard of Gatineau, Que. He currently sits 13th on the CTRS, but having already won his first three games of the weekend, he’s punched his ticket to the playoffs, and a paycheque. 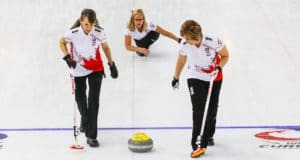 — In Estevan, Sask., the Weatherford Curling Classic hosts 24 teams fighting for a share of $32,000. Saskatoon’s Steve Laycock (No. 9 on CTRS) has to be considered a favourite there. — Many of Winnipeg’s top women’s teams are competing at the Sunova Spiel at East St. Paul. This 16-team event has a purse of $10,000. — In High River, Alta., 16 men’s teams are competing in the Black Diamond/High River Cash. 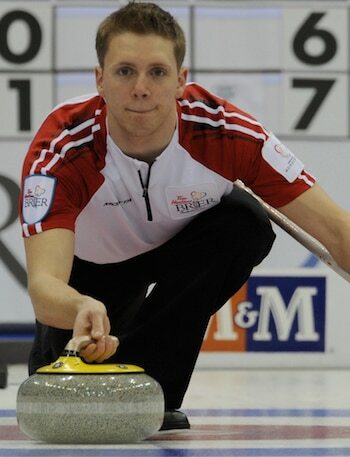 Calgary’s Brock Virtue headlines a field of mainly Alberta teams, although there are two international entries from Russia and South Korea. Be sure to check curling.ca regularly throughout the weekend for scores.